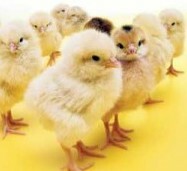 If you want to choose 4 chicks randomly from 9 total chicks, there are 126 ways to do it. Students learn more if they make up the stories for story problems themselves. Can your students make up stories for these ways of making 126? I have been intrigued for the past few years with Archimedes' method of finding pi. He didn't have the square root symbol, so he approximated using fractions, getting pi between 3 10/71 and 3 1/7. But if we follow his steps, and keep the square roots, we get a lovely pattern for our answer.You can try it. Construct a hexagon in a circle. If the radius of the circle is 1, then the hexagon's perimeter is 6. 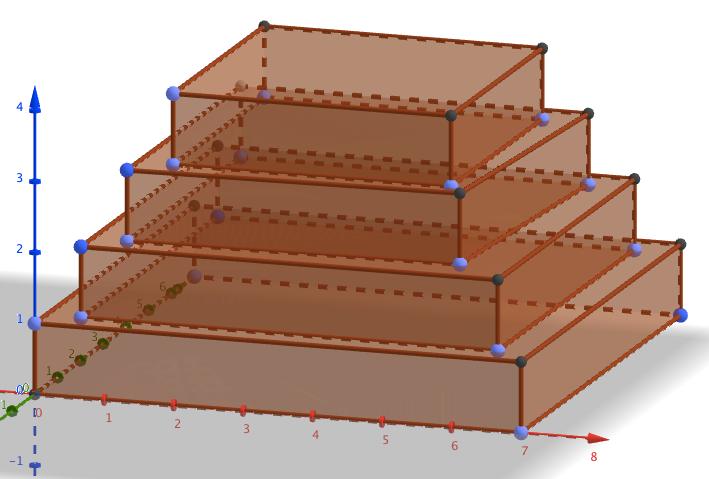 Perimeter over diameter = 6/2 = 3. 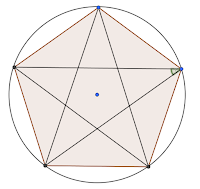 Now create a dodecagon (12-sided polygon) from the hexagon. You can find the side lengths from repeated use of the Pythagorean theorem, and then find perimeter over diameter. Your result will be closer than for the hexagon. You can repeat this process until a pattern emerges. If you want to get better at geometric construction (straightedge and compass style), play with it at sciencevsmagic or euclidthegame. You can improve your geometric reasoning skills with the puzzles in Geometry Snacks (and More Geometry Snacks), by Ed Southall and Vincent Pantaloni. There are more puzzles at his blog. If you like them, the book is a treasure trove. Because I've fallen in love with geometry, I decided to teach it this summer, for the first time ever. So I'm doing a lot to prepare. Henri Picciotto is an expert geometry teacher who graciously offered me his time over breakfast. He advised me to download his Geometry Labs book (free) from his Math Ed Page site. There is so much more there than this. But this alone was a huge gift. I think it may transform my course. I've been collecting geometry mysteries. 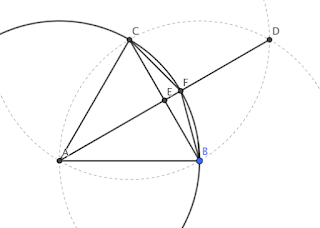 Medians are the lines from midpoints of the sides of a triangle to the opposite vertices. The 3 medians seem to always cross at one point. Why is that? I tried for weeks to prove it, and just couldn't. I finally gave up and looked at the proof. (And told my students how much fun I had failing!) I then found another proof that followed a very different path. Can you prove it? 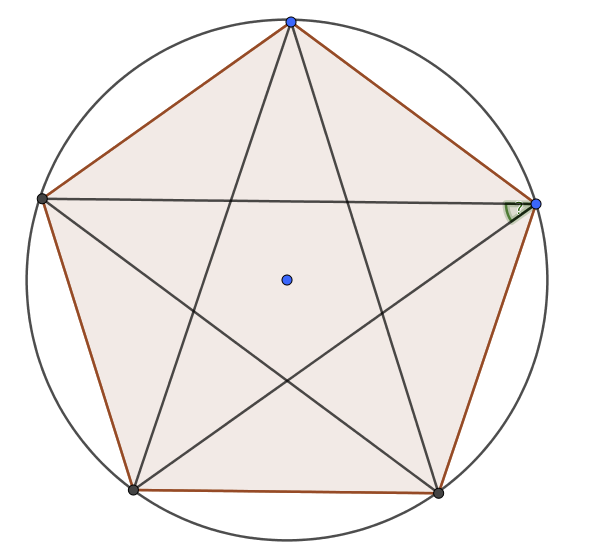 Here's a simpler mystery: If you make a 5-pointed star (perfectly even, I can't do that without digital help...), what is the angle at each point? One of my favorites for seeing the geometry in math topics you didn't know were geometric is Magic Pi - math animations. I hate that they're only on Facebook because I am not comfortable linking to facebook in class. But they are amazing. (I linked to one that's pure geometry. So cool.) They apparently do most of their animations in geogebra. I am a complete novice next to them. 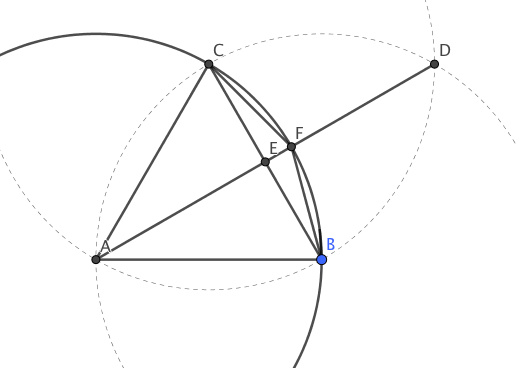 Here's a geogebra sketch I made today. It might be my first in their 3D mode. At the beginning, I mentioned having students make up their own story problems. Here's a lovely post from Arithmophobia No More about just that. Here's another angle on teaching story problems, from Jen at Math State of mind. Leaving out the numbers helps students to slow down. This blog post, by Amy at When Life Gave Us Lemons, is about her son making up his own math games. And John Golden has a whole class make up variations on a game he shared with them. You can check out the Carnival of Mathematics here. And if you'd like to host this carnival (we need help next month! ), you can learn more and sign up here. Am I from the Island of Truthtellers or the Island of Liars? I say "People from the other island would tell you there's an April Fool's Joke here." Thank you so much for hosting! I love the posts you found. As for your April Fool's question --- Augh! "People from the other island" statements always make my head spin, but with the possibility of a joke built in... I wonder, would Truthtellers even allow themselves to make a joke? You can't tell which island I'm from, since they'd all say that. And it was my goofy way of saying there are no April Fool's jokes in this post. For a statement like that one to make sense, a truthteller would have to say the liar would say X (where X is a lie), and the liar would have to say that the truthteller would tell a lie. So X must be a lie.